What is great usability for a website? Usability means being able to find exactly what one is looking for while spending the least amount of time doing so. It can also mean accomplishing something through a web site, but still while spending the least amount of time doing so. The keywords are find and accomplish, as that is what the end user of a web site aims to do by visiting a web site. There are key elements in helping the end user accomplish what it is they have set out to do. The best usability for a website contains the elements of search, descriptive titles and keywords, site map, related pages, and contact. It is important that every web site have the capability of search. Having a search field on a web site enables the end user with the quickest method for finding information on a web site. Search gives the end user a tool that allows them to tell the web site what it is they are looking for, so search can tell them the exact location of where they will find it. This is undoubtedly the quickest and most convenient way for the end user to obtain information and accomplish the reasons for visiting a web site. This is the very reason that search engines like Google are so popular. Without descriptive and visible titles and keywords, users would have a difficult time reading through all the information a web site has to offer. For this reason, web sites with good usability have large, visible titles that are descriptive. A descriptive title tells the user exactly what it is they are about to read on that page. Subtitles are also important and should be used for sections or paragraphs of text. These subtitles should be bold and above the text they describe. Subtitles should be used for additional blocks of 250 words or more. Keywords within large bodies of text should be made bold so that they easily capture the attention of a person reading the material. These keywords should also be relevant to the subtitle or title of the web page. In a blog environment, these keywords would also be tags. A good thing to remember when designing a web page is to be as unique focused, and relevant as possible. Any deviation from the over all focus of a single web page should not be made. Instead, content not relevant to the focused idea of the page should be set on a page of its own. Site maps are a great way for users to quickly find and accomplish their reasons for visiting a web site. Say that a user visits a web site and doesn’t quite know what they are looking for. A site map is a great place for the user to start looking, especially when pages have descriptive titles that let the user know what the pages contain. A good site map is cut in to categories that allow the user to quickly scan where they might be interested in browsing for their information. This allows the user to to gain information quickly before they decide to invest the time to look through and read material they are interested in. Site maps with categories gives a user more options to look through for accomplishing their reasons of visiting a web site. Communication with a live person is essential when all else fails. For example, a person might need specific information about a product that is not listed on a company’s web site. In this instance, they would need to talk to someone who has more knowledge than the web site. Therefore, it is essential to provide users with some way to communicate with a live person, rather than just assuming the web site is the tell all resource for users. The quickest and best way to give a user power of information is by providing a phone number that leads to someone who can help them on the other line. 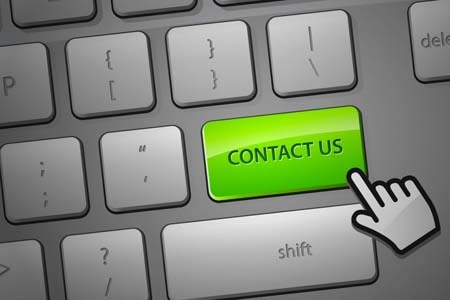 The next best is to provide a contact form for visitors with a message box where they can leave their contact information and the message they would like to send. When providing a contact form, it is good policy to let the user know when they are likely to hear a reply from their inquiry. Another note on usability is that users don’t like to read online. It has something to do with the frames per second that are flashed to their eyes from the monitor they are reading from. Newer technology like Amazon’s Kindle has improved the readability of content through screens, however most people still use typical computer monitors to access the web and read content. 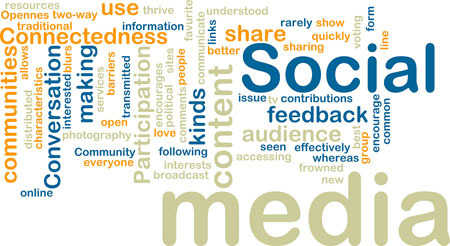 It is for this reason that rich media such as photos, video, and sound clips retain viewership and attention from visitors an estimated ten times more than web sites that do not have rich media (metacafe.com). When all is said and done, we as people access the internet for various reasons. One of the main reasons is because the internet is considered as the information super highway. When we need to find directions, read the menu of our favorite restaurant, find a product, or get the latest news, we want to do it at the speed of our finger tips, which is why usability is so important. Usability helps people quickly and conveniently access what they need on the internet. I just re-did my web portfolio, and didn’t realize how important some of these things were. I’m doing my best now to really optimize usability – it’s so important to keep these tips in mind. Thanks for the article!